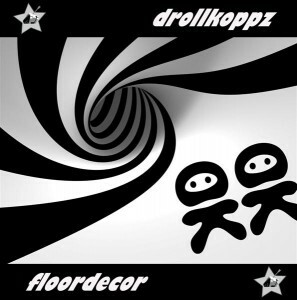 Panzar Produktionz presents Floordecor, the first solo release of Drollkoppz, a progressive psytrance duo from Kiel, Germany, formed by Lars Jensen and Christoph Peters, two friends who decided to collaborate in 2011. Heavily influenced by the old school progressive psytrance of Northern Germany, they seek to find their own way to create deep, pumping, and fun to dance to progressive trance with a pinch of psychedelic. Mastering by Liam Dorff @ InYourPhaze Studios with artwork by Drollkoppz. MP3 Download | FLAC Download | WAV Download · Download count: 7,713. Panzar Produktionz – их продукция просто чётко идеальна! )Всегда слушаю с удовольствием безупречные ритмы Panzar Produktionz!!!! cool work bro, i appreciate your sounds, congrats!!! Nice One Amigo!! Keep it up!!!! I liked it. Simply and tastefully! Solid Prog ! I love it. Another great Panzar release …. wow, very hot stuff guys !!! oh that’s good, full of freshness ! keep up the good work!! Glad to have you onboard panzar! !